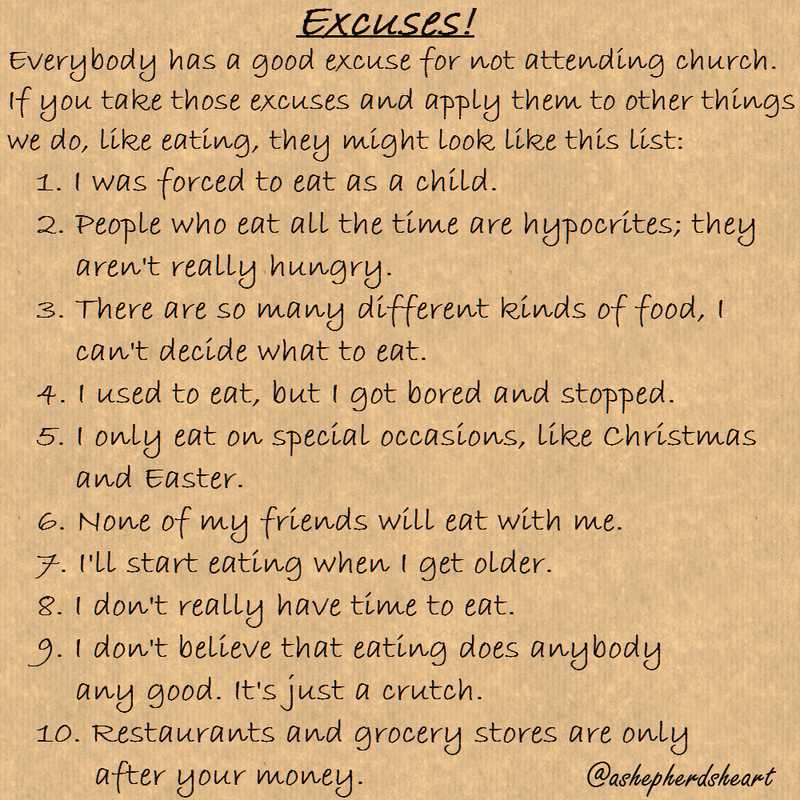 Everybody has a good excuse for not attending church. 1. I was forced to eat as a child. 2. People who eat all the time are hypocrites; they aren't really hungry. 3. There are so many different kinds of food, I can't decide what to eat. 4. I used to eat, but I got bored and stopped. 5. I only eat on special occasions, like Christmas and Easter. 6. None of my friends will eat with me. 7. I'll start eating when I get older. 8. I don't really have time to eat. 9. I don't believe that eating does anybody any good.It's just a crutch. 10. Restaurants and grocery stores are only after your money. 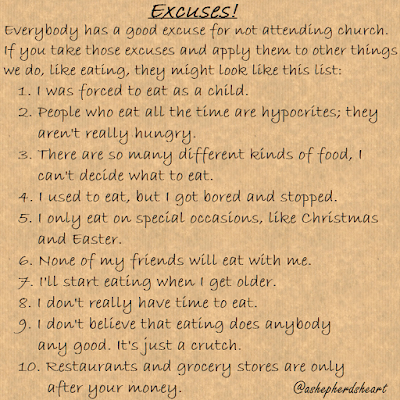 All humor aside, there are reasons the Lord wants us to come together as the Body of Christ. I encourage you to read and study your Bible to discover what the reasons are, what your roll is as part of the Body of Christ and the Body of Christ's roll in your life. All important and vital to your walk with The Lord!